Slow economic growth following the Great Recession has helped to shift the focus of immigration policy reform from border security and illegal immigration to visas to grow the economy. How do immigrants fit into the labor force, how can they fit better, and what is the shape of future policy changes? Audrey Singer is a senior fellow at the Brookings Metropolitan Policy Program. Her areas of expertise include demography, international migration, U.S. immigration policy, and urban and metropolitan change. 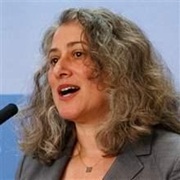 She has written extensively on U.S. immigration trends, including immigrant integration, undocumented migration, naturalization and citizenship, and the changing racial and ethnic composition of the United States.